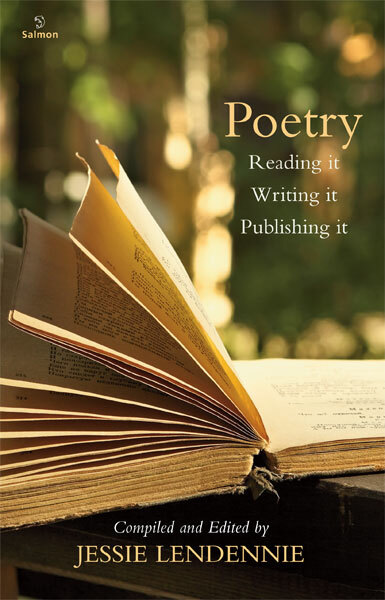 Poetry: Reading it, Writing it, Publishing it offers frank and carefully considered information for poets, and others who are interested in knowing more about how the poetry world works. As well as exploring basic tenets for aspiring writers, the book contains personal essays by poets and publishers from Ireland, Britain, the US, Canada, Australia and Zimbabwe: Primrose Dzenga, Rita Ann Higgins, J.P Dancing Bear, Celia de Fréine, Michael Heffernan, Kevin Higgins, Seamus Cashman, Nessa O'Mahony, Maurice Harmon, Joan McBreen, Lex Runciman, Joseph Woods, Eamonn Wall, Susan Millar DuMars, Emily Wall, John Hildebidle, Caroline Lynch, Jean O'Brien, Chris Mansell, Gabriel Fitzmaurice, John FitzGerald, Noel King, Philip Fried, Todd Swift, Simmons B. Buntin, Janice Fitzpatrick-Simmons, David Gardiner, Anne Fitzgerald and Stephanie McKenzie. Poetry: Reading it, Writing it, Publishing it was chosen for special promotion during Great Irish Book Week 2009 as one of 30 great Irish books published in 2009. The Great Irish Book Week took place from Saturday the 24th to Saturday the 31st October 2009. Jessie Lendennie's prose poem Daughter was first published in 1988, followed in 1990 by The Salmon Guide to Poetry Publishing and in 1992 by The Salmon Guide to Creative Writing in Ireland. Her poetry has been anthologised in Irish Poetry Now: Other Voices, Unveiling Treasures: The Attic Guide To The Published Works of Irish Women Literary Writers and The White Page/An Bhileog Bhan: Twentieth-Century Irish Women Poets, among others. She has conducted workshops and given readings all over Ireland and the United States for many years. She is the co-founder and Managing Director of Salmon Poetry. In 2008, she edited Salmon: A Journey in Poetry, 1981-2007, an anthology of Salmon Poetry. In 2009 she compiled and edited Poetry: Reading it, Writing it, Publishing it. How does a poem start, and how do you bring it to fruition? Who knows for sure. In my opinion how or where the poem begins has more to do with being receptive when the poem vein starts to leak thoughts slantways, or sideways, or anyway, or when ideas come with a new crispness, when words have a ping in their step, or when sounds evoke a memory that may be long forgotten. Sometimes when I arrive at a new place, the wonder of that place takes over and my antennae are out for any creative crumbs that might be floating in the atmosphere. About two years ago I was in Toronto giving a reading. It was my first time there. The hotel we stayed in was kind of posh, and we were delighted with the comfort. When we went out for a walk the most striking thing we noticed was that most of the people we saw nearby were struggling in one way or another. The doorman at the hotel had a comic way about him. His body movements were swift, yet he would stop mid- step and change direction; a bit like Groucho Marks. His eyes darting, he had every direction scanned. He seemed to bounce when he walked; he did a kind of pirouette. He always had a wad of money that he spread out like a fan in front of his face (he wouldn't do that in parts of the Galway I know and love!). It was a peacock display thing, as if to say "I'm Flash Harry, look at me". We got the distinct impression that Flash Harry did not like us. We were not nice luggage people, we had no Gucci labels, and we were haversackers. When we needed information about anything we were told "Ask the concierge". Every time we went out we saw the same people - strung out or scarred by poverty, or some other sadness. It was like walking down the avenue of loss. When I got back to Ireland the people I had seen in Toronto near the hotel, and the concierge, were jostling for position in the alleyways of my mind. They were side by side, yet Niagaras apart. A poem was starting, or a couple of lines were colliding and they would not go away. It was up to me to follow it through or let it go. When I start writing a poem I'm not worried if the first draft does not have a sense or structure about it; it's just to get the bare bones down. It doesn't take much shape until around the third or fourth draft. By then I have a fair idea what I'm after. I'm pleased when I get what I think is a good line. If the opening stanza is not as strong as other stanzas, I start writing it out again. Punctuation has always been problematic for me, I try not to have too many full stops because they are so sudden, and they halt things and I like the rhythm to go from the start to the end, and full stops play puck with the rhythm. "Some poems write themselves," the soothsayers say. I don't believe that. Poems have to be worked on, until you have done as much as you can to make all parts of the poem seem like a seamless piece. Reading other people's work is very important, not just for the pleasure but for learning about technique and style. Put the odd poem in the rubbish bin - it's tough but it's humbling to know that not all your poems will make the final cut. I usually find when I have lost all interest in the poem, then it's finished. This generally happens after I have been rewriting and tinkering with it for about two weeks. It's a combination of the gut, the heart, the mind, the notebook - then the hard work starts. Just as there is an art to writing poetry, so there is an art to the publishing of it. That's why "Poetry: Reading It, Writing It, Publishing It" by Jessie Lendennie (co-founder and managing director of Salmon Poetry) is such a useful compendium of practical information and useable insight drawn from poets and publishers in such diverse literary cultures as Ireland, Britain, America, Canada, Australia, and even Zimbabwe. The twenty-nine contributed essays are grouped thematically into three major sections: Reading It; Writing It; Publishing It. For anyone who aspires to write verse and have their poems published, Jessie Lendennie's "Poetry: Reading It, Writing It, Publishing It" is very strongly recommended and very useful reading. There can be no denying the huge interest in creative writing, as evidenced by the growth in Writing MA programmes in the unviersities of Ireland, as well as the more informal classes being taught countrywide. Patrick Kavanagh once ruefully remarked on Ireland's 'standing army of poets,' which is certainly on the increase, if not completely on the march. This is why Poetry: Reading it, Writing it, Publishing it might serve this army well. How-to-write-poetry books have been widely available for some time now. They vary in size and remit, from Becoming a Writer by Dorothea Brande, to How to Write Poetry and Get it Published by Fred Sidgwick to Teach Yourself Writing Poetry by Matthew Sweeney and John Hartley Williams. Anyone who teaches in the field will likely have a shelf-full of these books, useful for new approaches as well as further reading lists. The new Salmon anthology works for two reasons: because it uses the varied individual lenses of thirty contributors. As well as Irish writers, there are Australian, US and UK contributors, all of whom have a connection to Salmon Poetry, each with a unique and entertaining insight. Splitting the anthology into three parts means that the anthology can be used as a reference, one easily dipped into along one's writing journey. The first short section looks at how important reading poetry is to the developing writer. This saying will be familiar to many who teach Creative Writing. Lord knows how hard it is to get people newly interested in writing poetry to actually read it: to read what is going on in poetry now - not what happened in the nineteenth century, but what is being written by real, live poets; right here, right now. Essays by Maurice Harmon, Michael Heffernan, Anne Fitzgerald and Lex Runciman underscore this point amply. The middle section, 'Writing it', takes a longer look at what strategies the developing writer can adopt. Rita Ann Higgins' personal essay on a specific poem she wrote, illustrates her process in writing 'Ask the Concierge'. There is a terrific essay by Susan Millar DuMars, titled 'What's the Point?' It is a lively modern vindication of poetry, which would inspire the most cynical of workshop participants. Joan McBreen's essay also makes a personal exploration into why and how she came to write, with a heartfelt account of bringing her six, then still small, children along to a poetry reading by Eavan Boland, in Joan's early days of poetry discovery (one that this reader identified with). But the biggest section by far is that on publishing poetry, which speaks volumes about the determination needed for that path in poetry. Working towards getting published requires no little amount of editing, re-writing, spit and polish - and that's before perseverance, luck and a sympathetic editor. The essays in this section range from one by Joseph Woods, Director of Poetry Ireland, explaining the remit of the national poetry organisation; through the journal editor Philip Fried of The Manhattan Review; to small press publishing editors like Noel King, of Doghouse Books, or J.P. Dancing Bear of Dream Horse Press in the U.S. These insights are invaluable. People starting down the poetry path, have no idea that the beating hearts of poetry presses and journals are dependent on little more than a wing and a prayer at the best of times. Noel King remarks on how frequently Doghouse Books receive manuscripts from newly writing poets who don't realise that their work must first be tested in journals and magazines (and plenty of them). J.P. Dancing Bear is equally pragmatic about his US poetry press, saying that even from the outset, he knew that Dream Horse Press, 'was never going to be my primary business/occupation,' comparing it to the 'commitment to having a small child'. In other words, most poetry publishers do it for the passion. Poetry's doesn't put bread on the table. These are not the only aspects of publishing covered. Nowadays, it is easy to find outlets that publish poetry online (both reputable and less reputable), and Todd Swift covers the basics for how much exposure a developing poet should seek online. Kevin Higgins discusses the approach of the reading series, in particular relating how the Over The Edge reading series in Galway, now six years in existence, came into being. His advice is no great secret: what has happened in Galway is that they have always had an 'inclusive approach' that has seen audiences in Galway grow to the extent they now have. An atypical, but welcome inclusion is the insight of James Harrold, an Arts Officer in Galway. Arts Officers' roles (and funding" vary from county to county. They are always interested in promoting and encouraging new endeavours in the arts, literature being no exception. Arts Officers can put the developing writer in touch with either local writing groups, or perhaps help in getting classes set up. Harrold also mentions the invaluable Writer-in-residence schemes, which have aided the development of many emerging writers in the past. Poetry: Reading it, Writing it, Publishing it is the sort of book you could recommend to the newly writing poet keen to know what to do with regard to the process of getting into print. It should also prove an invaluable resource for creative writing classes in this country: there are many books on the infinite processes of making poems, but this anthology is a welcome addition on the Irish side of what comes next. With useful recommended reading lists by each contributor, and the lived experience of each writer brought to bear in the essays, there are now fewer excuses for our standing army to be poorly equipped. Jessie Lendennie, who has edited this primer, is an American-born poet-publisher who came to live in Ireland in 1981, first in Galway and later in County Clare, where she has run Salmon Publishing and Salmon Poetry since 1986. This volume is a companion book to the Salmon Guide to Creative Writing in Ireland (1992) and The Salmon Guide to Poetry Publishing in Ireland (1990). She was co-organiser of the first Galway International Poetry Festival in 1984 and a founding member in 1985 of the organising committee of CÃºirt. The latest volume is a 'how to' primer with contributions from many of the Salmon stable of writers, Irish-born and from overseas. The roll call of contributors is impressive, including fellow publisher Seamus Cashman, UCD emeritus professor Maurice Harmon, and the poets Rita Ann Higgins, Susan Millar DuMars, Joan McBreen, Eamonn Wall, fellow American John Hildebidle, Jean O'Brien, Celia de Fréine (on writing in Irish), and Nessa O'Mahony - all of these on the subjects of reading and writing poetry - and an equally impressive list of contributors on the topic of publishing poetry, that includes Joe Woods of Poetry Ireland, Gabriel Fitzmaurice (on verse for children), Noel King, the American J.P. Dancing Bear (wonderful name) who runs a poetry press in California, the London-based Canadian poet-publisher Todd Swift, of Nthposition (on internet publishing), Philip Fried from New York, editor of The Manhattan Review, Simmons B. Buntin from Arizona (on online publishing), John M. Fitzgerald from Los Angeles, Janice Fitzpatrick-Simmons, co-founder with her late husband James Simmons of The Poets' House in Donegal, and Primrose C. Dzenga from Zimbabwe, among many others. Jessie Lendennie, tells us in the introduction that if one Googles the word 'poetry', there are 128 million responses. This primer, which combines the theoretical with the practical, will give you most of the information and advice that you are likely to need about the reading, writing and publishing of verse.